You have probably come to this page because you are considering planting Lavender or have already done so and the plant is not doing so well. Maybe someone has gifted you with a plant and you want to know how to care for your Lavender plant. See detailed growing and care information below about taking care of Lavender and learn how to grow Lavender plants. Looking to buy Lavender plants then see what's available - Lavender Plants for Sale. Lavender plants are quite resilient, after all, they did come from the sunny Mediterranean region and even some desert regions. The thing to keep in mind when growing Lavender is that not all plants are hardy in all locales. Tender varieties unless grown as annuals will need to be potted up and overwintered inside. You should be able to find one Lavender that will work for you. Just visit your local garden center to find out what grows well in your area plus help with choosing a plant if you do not know what planting zone you are in. If you just have to have a particular variety that is not hardy simply do the extra work and grow it in a pot so you can bring it inside. Learn about the best potting mix for growing Lavender in pots here. There are Lavenders that tolerate heat but cannot deal with frost. Then there are some that can withstand cold(called hardy Lavender plants), such as Lavender angustifolia, to temps below zero degrees. Choosing the right plant for your area and climate zone is necessary if you plan on a permanent planting outside and want it to grow and successfully come back each year. These plants grow in many different countries and climate regions but all of them basically require the same care and growing conditions. Whether you reside in a hot dry climate or chilly coastal region all Lavender plants basically require the same things in regard to Lavender plant care which are proper soil and sunny location. 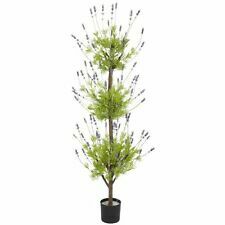 Plant Lavender plants in full sun which means at the very least 6 hours or more as that is what this plant needs to thrive. will help you to detemine whether or not you have full sun in your desired planting spot. The soil needs to be a light sandy mix which allows for good drainage. These plants hate "wet feet" and they prefer dry alkaline soils (ph 7.1) over acid ones. Look at this picture and pay particular close attention to the soil. You can add lime to your soil to adjust the ph to and make it more alkaline. Heavy soils or those with a lot of clay will require you to dig them out and mix them with sand to loosen the particles. Roots grow between the soil particles and if the soil is clumpy or cakey the plant will not do well. This is one plant that you don't need to fertilize. If you add fertilizer it will spur it to growing a lot of leaves and make it less fragrant. Poor, lean soil produces a plant that has a higher concentration of essential oils which equates to higher fragrance. You want it to bloom as the fragrant flowers are highly desired. The purpose of blooming is to make seeds and reproduce. A plant that is over fed doesn't want to set seed. If your soil is really, really bad add a little compost to your soil, maybe a handful or two, and mix it in well. You also don't have to worry about spraying for pests which makes this plant easy to care for. The plant's essential oils and fragrance attract the beneficial insects and repel the not so nice ones. These plants require a sunny planting location with good air circulation. Do not plant them next to your house where it is shady and damp. Humidity is not a friend of Lavender. Consider planting Lavender on sun drenched banks and other landscape problem areas as the flower display is quit attractive. This plant can withstand a good soaking rain but they need to be able to dry off afterward. This is why good air circulation is a must which means allow adequate spacing between plants. Here is how I care for my Lavender plants in extended rain. When choosing where to plant take into consideration the mature size and shape. Over crowding prevents air circulation. Also remember that you should be able to enjoy this plant. 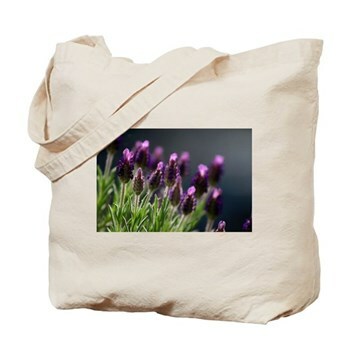 Plant Lavender plants where you can take in the heady flower fragrance as you walk by. I like to plant in groups of three, in a little triangle, leaving at least 2 feet between the larger varieties of plants. If you are planning on planting a Lavender hedge such as hedging a driveway or walk then 12-18" is about as close as you will want for the medium growing plant varieties. Do consider the long flower stems projecting from the plant and whether they will impede traffic. Need to move your Lavender learn how here. Lavender plants care of - Print out our 8 Tips for Planting Lavender for quick reference. Pruning or cutting back should not be confused with the harvesting of Lavender flower. Although anything you prune should not be wasted. Leaves can be turned into sachets and larger prunings into cuttings for new plants! Pruning can be done either in spring or fall. Simply cut back anything un-shapely. Pruning is to maintain the shape and appearance of the plant. I like to cut back the growth not more than halfway if needed. Your plant might look a little bit butchered but shortly new growth sprouts will appear. Never cut back so far that there are only woody stems left with no green growth. See more detailed information on pruning Lavender plants - how to prune a Lavender plant. Learn just when to prune or cut back your Lavender. In older times these herb plants were left to their own devices to sprawl care free in cottage gardens and go any which way as in nature. I find that all Lavender at some point might need just a little shaping now and then to maintain vigor and appearance and remove dead wood. You do need to cut back the spent flower stems if you don't already harvest and dry your Lavender. This cutting often causes another round of flower blooms and more lovely Lavender! After pruning go through what you have removed as some of this material can be used to propagate new Lavender plants. You may also dry what you have cut away and make sachets out of the trimmings. This plant smells too good to be wasted. Not all plants produce seeds. Lavender plants easily hybridize and sometimes the resulting plants are sterile and cannot produce seeds. Taking cuttings from the plant are the only way to reproduce and get more of these particular hybrid plants. Seeds are slow to start, and take some work and care to get them to adequate size, so propagation by means of taking cuttings or buying new potted plants are the way to go. If you have a plant whose blossom color you just adore taking a cutting will assure you that the new plant will be exactly like it allowing you to stay true to a particular species. If you are an experienced gardener and really want to start or grow Lavender from seed we have Lavender seeds here. Learn about growing Lavender from seed and how to grow Lavender from seed to get new plants for your garden. There are two types of cuttings, old wood and new growth tip cuttings. Woody cuttings have some of the old woody growth attached whereas tip cuttings are just that, 2-3" long new growth tips. Learn how to grow Lavender from cuttings and information about growing Lavender from cuttings below. To root your cuttings place your starts in small pots of well drained sandy potting mix. You may dip each cutting into rooting hormone prior to potting up. Keep these new Lavender cuttings at about 70 degrees Fahrenheit. Check frequently and keep the soil moist and in about six weeks you should be able to give each cutting a little tug. If you feel resistance then that means you now have roots grabbing hold of the soil. Plant out new plants after all danger of frost is gone. It takes about three to five years for the plants to reach mature size. Blooms will start appearing the first year. This is the only way to reproduce Lavandins. Get more info on propagating Lavender and growing Lavender plants from Lavender cuttings here. You may choose to buy your Lavender plants online which gives you the widest selection available. You may visit your local garden center or look through plant catalogs to see potted Lavender available for sale. Be sure to see our resources for information on what's available. Buying potted plants assures you of the variety and sometimes lets you see just what color the bloom will be. You may be surprised by the number and variety of plants available through mail order or internet. Choosing to buy Lavender plants allows you to purchase at different stages of growth from small starts to larger plants. Purchasing potted plants gives your flower garden a faster start and it may be the only way to get a particular variety. Hopefully these plant growing and care tips are useful to you. Feel free to email me your questions or comments or send me pictures of your plants. And Receive this Bag !